Alexis Sanchez’s long-running transfer saga finally ended on Monday when he left Arsenal for Manchester United in a deal that will reportedly make him the highest-paid player in the Premier League. Sanchez grew up in abject poverty — his father abandoned the family shortly before he was born — in the Chilean coastal town of Tocopilla. His mother Martina sold fish and Sanchez earned some money washing cars. While still a boy, he swore to her and his three siblings that one day they wouldn’t have to worry about where the next loaf of bread would come from. He told Spanish newspaper El Pais in 2013: “I’d say to my mum, ‘Don’t worry, I’ll be a footballer and everything will work out -– we’ll have money’, and she would laugh.” He honoured both promises. The one trophy Sanchez desires more than any is not the Premier League crown but the Champions League. However, as he made plain to The Guardian last year there is a clear order of preference having missed out on it at Barcelona and then at Arsenal. “My idea is to play and win the Champions League, it is a dream I have had since I was little,” he said. 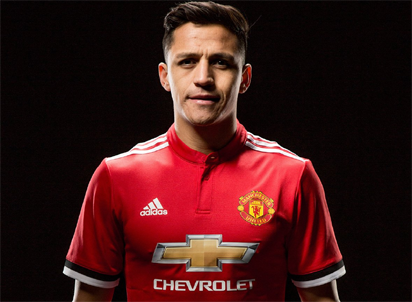 The post Five facts on Alexis Sanchez appeared first on Vanguard News.